Solid custom contemporary home has 2300 sq ft. Has 2+ br 3 bath home with large garage/shop. Majority of living space on main level. Second kitchen in lower level. On .46 acre lot. Swedish pergo floors, no carpets, lots of tile. Newer roof. 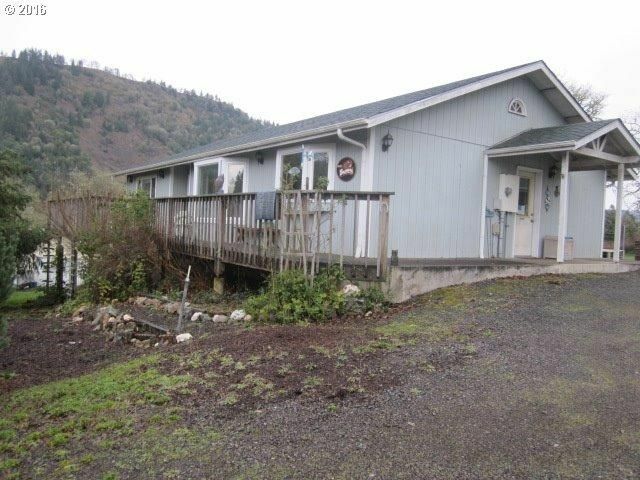 Has room for garden, deck, RV parking, great views. Out of the city limits so County lower taxes. Must see this well constructed home.